YOUNG LEADERS FORM AN IMPORTANT PART OF THE FACTORY! If you have been attending The Factory for a while, are aged 13-17 and want to get more involved then why not become a Young Leader? 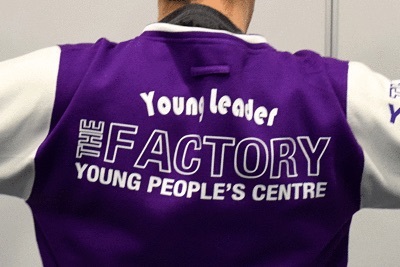 Young Leaders help staff get ready for sessions, assist in the running of sessions by helping with activities or helping out on reception, planning and running events and representing The Factory within the community. Young Leaders will be expected to undertake a short training course that will give them the knowledge and the tools to be amazing Young Leaders. Being a Young Leader will help you develop your confidence and will build a number of skills that will be useful later in life, such as team work, be organised, working with others, solving problems, being reliable and many more. When you are applying for college courses and jobs, being a young leader is a great thing to have on your CV.